Monels with pure flash! 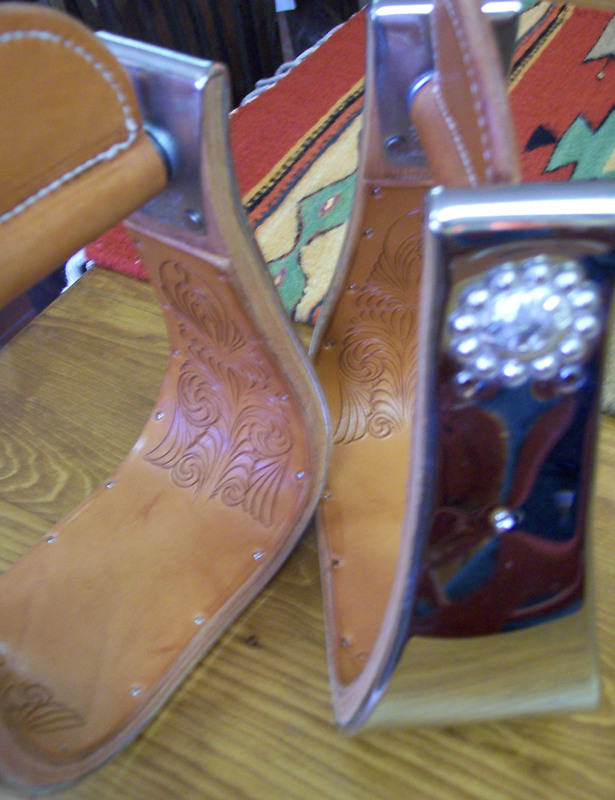 Large silver conchos trim the outside. Hand carved leather lined. Handmade stirrups with outstanding rolled edge Monel. Great for riding, great for viewing. Art and function together. We're proud to offer these. Contact us for 2" and 4" options. Custom orders welcome.